Smoking hookah still has a romanticized feeling about it. The idea of people lounging on extravagant cushions in dim lantern light, with the air thick with fragrant smoke is an image everyone conjures when thinking about hookah lounge. This setting is promoted by the history of the activity. The beautifully decorated hookah originates in the North Western regions of India, from around 500 years ago. It started with a physician by the name of Hakim Abul-Fath Gilani, who set out to find a healthier way to smoke tobacco. He believed that the tobacco would be purified and cooled by passing through water before being inhaled. The Ottoman Empire is accredited with creating the stunning glass bases and elegant structure of the hookah. Eventually, the trend moved into Egypt and earned the name “Shisha,” the Persian word for glass. The Shisha became apart of western culture officially when Lewis Carrol featured the beloved Cheshire cat smoking in his novel “Alice’s Adventures in Wonderland. It wasn’t enough just to enjoy a carefully crafted atmosphere and the buzz of the tobacco, the hobby needed to be expanded upon and made better. Thus, shisha smokers began taking their tobacco and mixing the leaves carefully with molasses and honey, dark sticky leaves, and fruit pulp to tie in other delicate flavors like vanilla, strawberry, chocolate and rose. These flavors created that thick, fragrant smoke that fills your lungs and nose when you step into a hookah lounge. Upon the discovery of flavors, the hobby and practice grew into something much more than a means to pass the time. With the advent of different flavors and varying smoke thickness, it became a sophisticated debate about taste, the feelings a certain blend promoted, or the preference of nicotine content. The Hookah Spot is known for being the only spot in town that provides the highest quality shisha available: Tangiers. 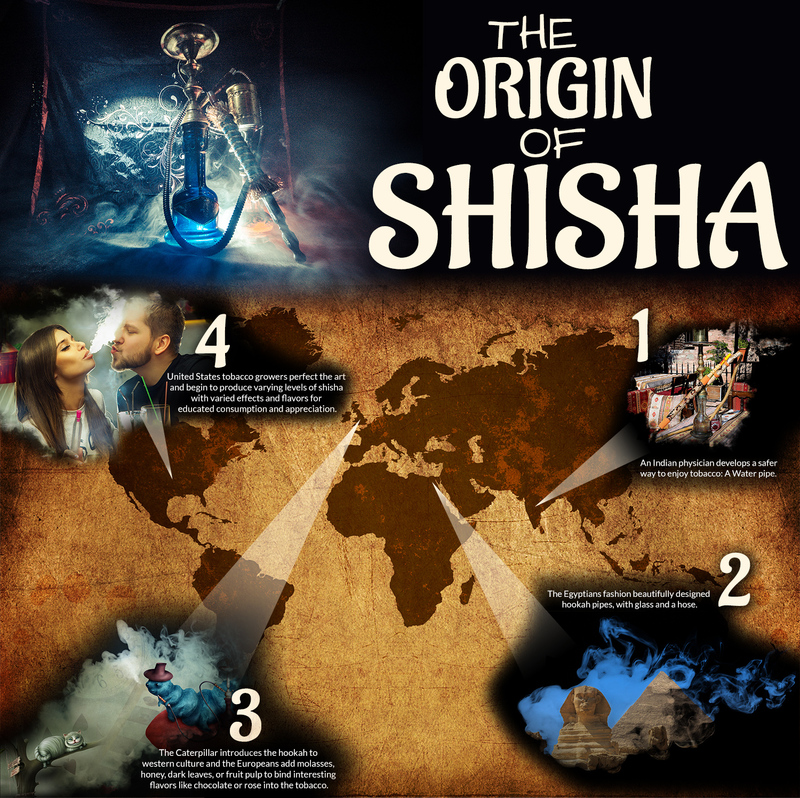 The unique experience of the hookah lounge is easily pictured with thick, clouds of smoke, drifting from people’s mouths, and to get that shimmering opaque cloud, you have to start with genuine shisha tobacco, this is created depending on the glycerin content of the shisha. Tangiers is made with U.S. grown tobacco. They offer several kinds of shisha for a range of smoking opportunities and varied levels of mellow or buzz. Birquq: Their newest line of shisha replaced the Lucid line. This line provides more than 30 unique flavors and offers a low-nicotine content for a calming effect. Noir: By far the most popular and original line from Tangiers. Noir offers more than 50 curated and controlled flavors with a medium nicotine level. This creates a rousing effect that would be effective for a pre-game session on Friday night, or a quiet night full of studying and focus. Burley: The highest level of nicotine that Tangiers offers is through this specific line. Though not recommended for beginners, it allows for a powerful burst of focus and attention that could be applied to more difficult, longer projects. F-Line: Tangiers offers a caffeine-infused line of shisha that is perfect for extreme focus and contemplation. This completely unique smoking experience is unparalleled as it perfectly combines the effects of nicotine and caffeine. The flavor selections are limited due to the newness of this concept. If you’re interested in an individualistic hookah lounge experience in Columbia, come check Hookah Spot. You won’t be disappointed.